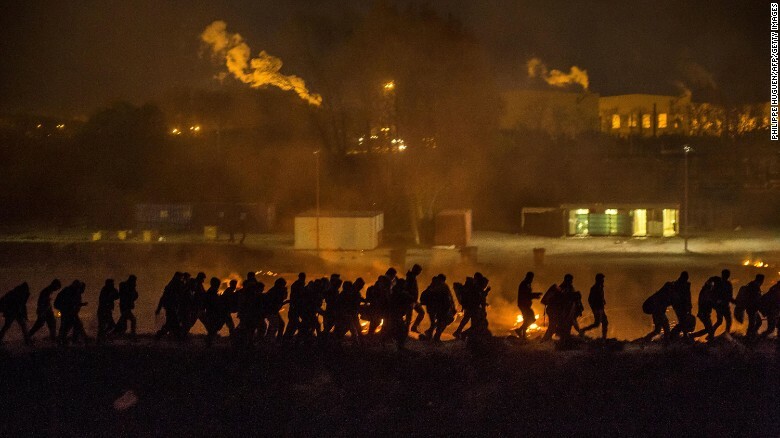 A huge fire ripped through a migrant camp in northern France late Monday razing it to the ground and leaving several people injured, CNN reports. Large numbers of migrants and refugees -- including unaccompanied children -- have been left homeless, according to an aid agency. "It all started with a fight between the Afghans and the Kurds. They argued about their territory and their personal space. They wanted to control their territory," she said.